Maryville University is committed to making a top-ranked, private education affordable and accessible. Last year, over $53 million in scholarships and financial aid was awarded to 93 percent of our full-time students. Both merit-based and need-based assistance is available. Students who apply for admission as freshmen and meet the stated requirements for the automatic scholarships will be awarded the appropriate scholarship. GPA is cumulative and calculated based on a 4.0 scale. We do not use the writing section of the ACT and SAT when considering scholarships. *Selected students who meet the minimum criteria for the Presidential, Trustee and Multicultural Scholarships (including the Dr. Donald M. Suggs Scholarship and Martin T. Lombardi Scholarship) are invited to compete for the appropriate scholarship at University Scholars Weekend. **Students must be admitted to one of the Design & Visual Art programs and submit a portfolio for review. Students exhibiting outstanding artistic talent and meeting the minimum requirements for the Design & Visual Art scholarship will be considered for the scholarship. Transfer applicants who apply for admission and meet the stated requirements for the automatic scholarships will be awarded the appropriate scholarship. GPA is cumulative and calculated based on a 4.0 scale. African American students who have completed an Associate in Arts Degree (in selected majors****) or an Associate of Arts in Teaching degree from one of the St. Louis Community Colleges or St. Charles Community College. 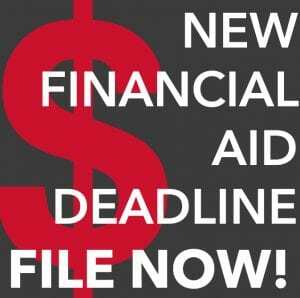 Must be admitted by March 15 and file the FAFSA by April 1. ****Accounting, Accounting Information Systems, Business Administration, Financial Services, International Business, Management & Leadership, Marketing, Sport Business Management, Psychology, Criminal Justice/Criminology, Early Childhood Education, Elementary Education, Middle Level Education. *****Students must be admitted to one of the Design & Visual Art programs and submit a portfolio for review. Students exhibiting outstanding artistic talent and meeting the minimum requirements for the Design & Visual Art Scholarship will be considered for this scholarship.